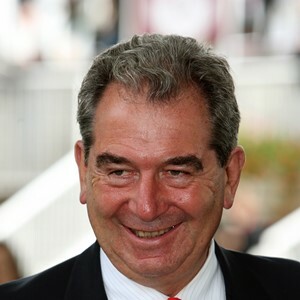 Jean-Claude Rouget is the son of leading trainer Claude Rouget. After spells in England working for Ian Balding and Paul Cole and in France in the employ of Freddie Palmer, he set up as a trainer in Pau is south west France in 1978 and, initially concentrating over jumps, soon became extremely successful. He has saddled more than 150 Flat winners per year in France every single season since 1991 and is invariably the nation’s most prolific winning trainer. But many of his victories come away from the top racecourses and, since the French trainers’ championship is calculated on annual prize money rather than number of successes, he had been champion just once, in 2009, before this year. That annus mirabilis saw him plunder three of the five French classics, including the Prix du Jockey-Club (Derby) for the one and only time, among a seasonal tally of six Group 1 races. It was by far his best season in terms of winning top races – when Avenir Certain won the French 1000 Guineas and Oaks in spring 2014 they were just the 22nd and 23rd Group 1 victories of Rouget’s long career. The two best horses he had trained before this year were probably Millkom, his first ever top class performer who trumped his two French Group 1 triumphs in 1994 by landing the Man o’War Stakes in America the following year, and Stacelita, who scored four times at the top level between 2009 and 2010. In 2015, he landed the Coronation Stakes at Royal Ascot with Ervedya and he returned 12 months later to land it with Qemah. 2016 has seen him land nine Group 1 prizes, with Almanzor and La Cressionaire being his stars. The former is the highest-rated horse in Europe after his wins in the French Derby, QIPCO Irish Chamion Stakes and QIPCO Champion Stakes. Expect to hear more from him, and his astute trainer, in 2017.